A veritable racecar of a bass, the Jazz Bass was born in the 1960s and became the favorite of players who put as many miles on the instrument as they did on their tour buses. The more it was used (and abused), the more it growled back and became even more comfortable. 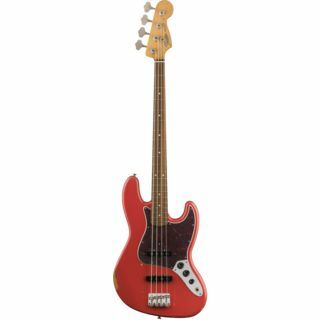 Fender's new Road Worn '60s Jazz Bass guitar delivers that aged look and feel designed with 1960s specs, including a nitrocellulose-lacquer finish, and built to look, sound and feel like it's got more than just a few miles on it.